Testing in a box.............in a box? 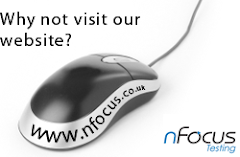 Recently at nFocus, we had to test some applications out to ensure that they would operate correctly on Windows 7 for one of our clients. RC1 was out and in order to expidite the task we decided to use virtualisation instead of applying the release candidate to some of our hardware. Virtual PC seemed like a good choice and following Brian Kellers blog "Installing the Windows 7 Beta with Virtual PC 2007 SP1" (with a few tweaks for RC1 instead of the Beta) it was a breeze! We managed to do our testing but interestingly, as an aside, some testing tools we used worked just fine out of the box on windows 7 RC1 too. Make sure you check out Scott Hanselman's discussion about Windows 7's Virtual Hard Drive (VHD) capabilities: http://www.hanselman.com/blog/LessVirtualMoreMachineWindows7AndTheMagicOfBootToVHD.aspx. This is an amazing feature of Windows 7 and has lots of applications for software testers.